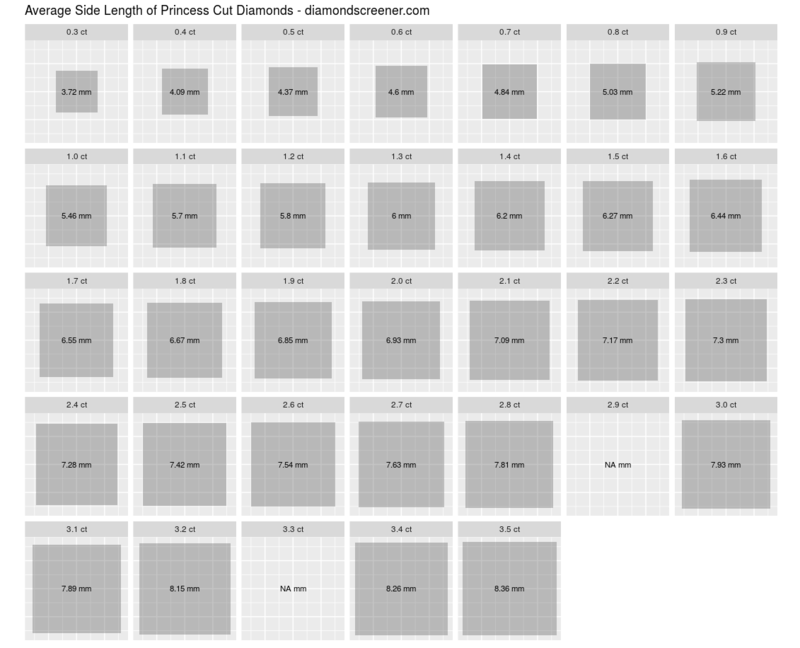 We’ve estimated the average side length (mm) for princess cut diamonds using measurements listed on James Allen. Note: princess diamonds that have been cut to maximize beauty rather than carat weight will have an average side length approximately 0.1mm smaller than the numbers listed below. This difference is well worth the improvement in brilliance, fire, and scintillation. Relative sizes for each carat weight are illustrated in the figure below the table.